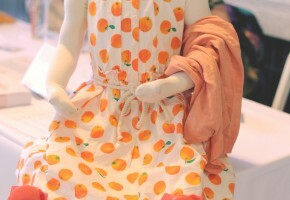 Check out Real Kids Wearing Clothes From Clementine! Read about us in Time Out Kids! New Consignor Alert: Yummy Mummy! We recently teamed up with Yummy Mummy to sell some of the great nursing items they sell, but at a discount. Click through to see some of the great stuff we just got in the shop! Brands we love: Egg Baby! With their natural fabrics and modern designs, Egg is a perfect match for our shop! Click through to check out some of the latest to arrive in the shop. We just restocked maternity with all the Spring items we had in storage! Lightweight blouses, tank dresses, and shorts. We even have a few swimsuits out! Stop by the store today for some great pieces to wear now that the weather is warming up. 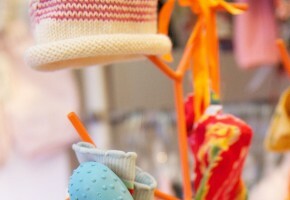 Created in 2007 by Luca Leschly Romagnoli, POPUPSHOP clothes are unique and fun! Made with organic cotton, and fair trade practices, these clothes are both great for kids and great for the environment! Denim jackets are a timeless classic that never go out of fashion. Click through to see a selection of jackets that we have in stock right now.